Political Data Yearbook Interactive is a new source for data on election results, turnout and government composition for all EU and some non-European countries. It is basically an online version of the yearbooks that ECPR printed as part of the European Journal for Political Research for many years now. The interactive online tool has some (limited) visualization options and can export data in several formats. Note: probably of interest only to the intersection of the readers who are into niche music genres and those interested in network visualization. My music interests have always been rather, hmm…, eclectic. Somehow IDM, ambient, darkwave, triphop, acid jazz, bossa nova, qawali, Mali blues and other more or less obscure genres have managed to happily co-exist in my music collection. The sheer diversity always invited the question whether there is some structure to the collection, or each genre is an island of its own. Sounds like a job for network visualization! Now, there are plenty of music network viz applications on the web. But they don’t show my collection, and just seem unsatisfactory for various reasons. 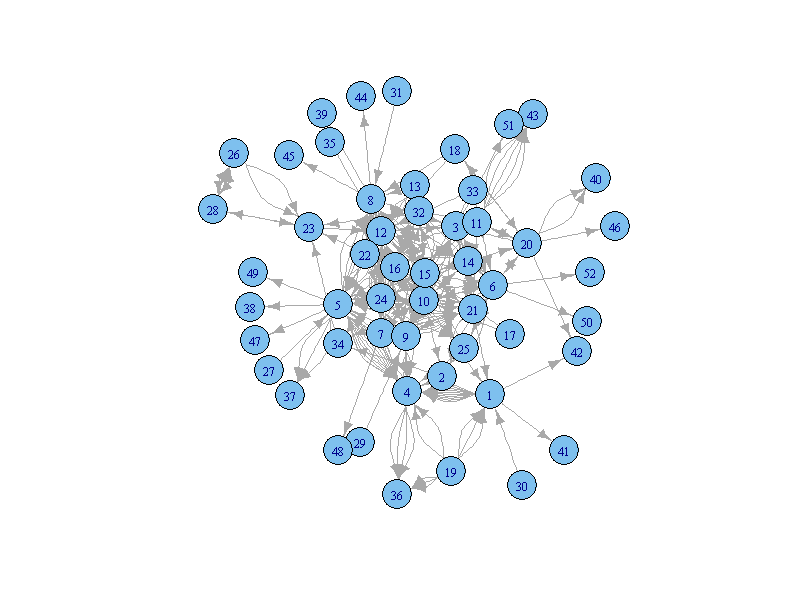 So I decided to craft my own visualization using R and igraph. As a first step I collected for all artists in my last.fm library the artists that the site classifies as similar. 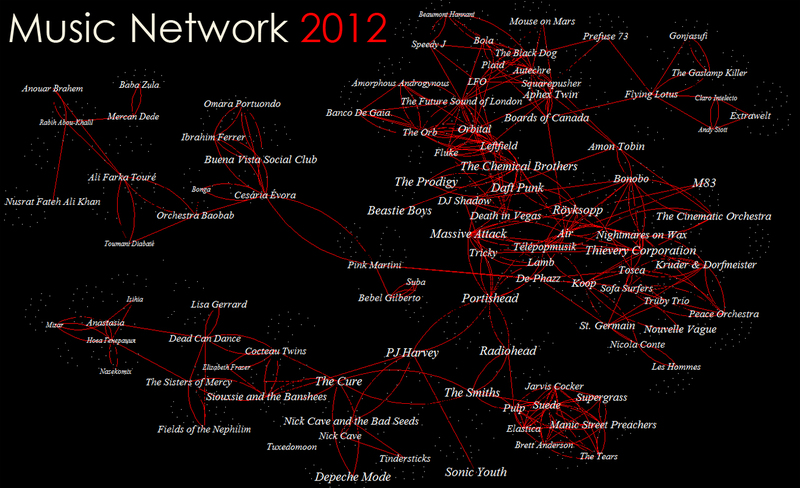 So I piggyback on last.fm for the network similarity measures. I also get info on the most-often used tag for the artist and the number of plays it has on the site. The rest is pretty straightforward as can be seen from the code. I plot the network with the tkplot command which allows for the manual adjustments necessary because many artist names get on top of each other in the initial plot. Because the export options of tkplot are limited I just took a print screen ( I know, I know, that’s kind of cheating ;-)), added the tittle in Photoshop and, voila, it’s done! Knowing intimately the artists in the graph, I can certify that the network definitely makes a lot of sense. I love the small clusters (Flying Louts, Andy Stott, Extrawelt and Claro Intelecto [minimal/dub], or Anouar Brahem and Rabih Abou-Khalil [ethno jazz]) loosely connected to the rest of the network. And I love the fact that the boundary spanners are immediately obvious (e.g. Pink Martini between acid jazz and world music [what a stupid label by the way! ], or Cesaria Evora between African and Caribbean music, or Portishead between brit-pop, trip-hop and darkwave, or Amon Tobin between trip-hop, electro and IDM). Even the different world music genres are close to each other but still unconnected. And somehow Banco De Gaya, the most ethno of all electronica in the library, ended up closest to the world/ethno clusters. There are a few problems, like Depeche Mode, which get to be pulled from the opposite sides of the graph, but these are very few. Altogether, I have to admit I feel like a teenage dream of mine has finally been realized. But I realize the network is a rather personal thing (as it was meant to be) so I don’t expect many to get overly excited about it. Still, I would be glad to hear your comments or suggestions for extensions and improvements. And, if you were a good boy/girl during the year, I could also consider visualizing your last.fm network as a present for the new year! # Data format. The data is in 'edges' format meaning that each row records a relationship (edge) between two people (vertices). # In this anonymized example, we have data on co-supervision with additional information about grades and specialization. bsk<-read.table("http://www.dimiter.eu/Data_files/edgesdata3.txt", sep='t', dec=',', header=T)#specify the path, separator(tab, comma, ...), decimal point symbol, etc. # Plot the data.Some details about the graph can be specified in advance. # Note that if the same attribute is specified beforehand and inside the function, the former will be overridden. # Save and export the plot. The plot can be copied as a metafile to the clipboard, or it can be saved as a pdf or png (and other formats). #And that's the end for now. Still not perfect, but much more informative and aesthetically pleasing. Additional information can be found on this guide to igraph which is in development, the examples here, and the official CRAN documentation of the package. Especially useful is this list of the plot attributes that can be tweaked. The plots can also be adjusted interactively using the tkplot function instead of plot, but the options for saving the resulting figure are limited. Have fun with your networks! A new paper shows that professional economists make largely correct inferences about data when looking at a scatterplot, but get confused when they are shown the details of the regressions next to the scatterplot, and totally mess it up when they are shown only the numbers without the plot! Wow! If you needed any more persuasion that graphing your data and your results are more important than those regression tables with zillions of numbers, now you have it. Does the manner in which results are presented in empirical studies affect perceptions of the predictability of the outcomes? Noting the predominant role of linear regression analysis in empirical economics, we asked 257 academic economists to make probabilistic inferences given different presentations of the outputs of this statistical tool. Questions concerned the distribution of the dependent variable conditional on known values of the independent variable. Answers based on the presentation mode that is standard in the literature led to an illusion of predictability; outcomes were perceived to be more predictable than could be justified by the model. In particular, many respondents failed to take the error term into account. Adding graphs did not improve inferences. Paradoxically, when only graphs were provided (i.e., no regression statistics), respondents were more accurate. The implications of our study suggest, inter alia, the need to reconsider how to present empirical results and the possible provision of easy-to-use simulation tools that would enable readers of empirical papers to make accurate inferences. 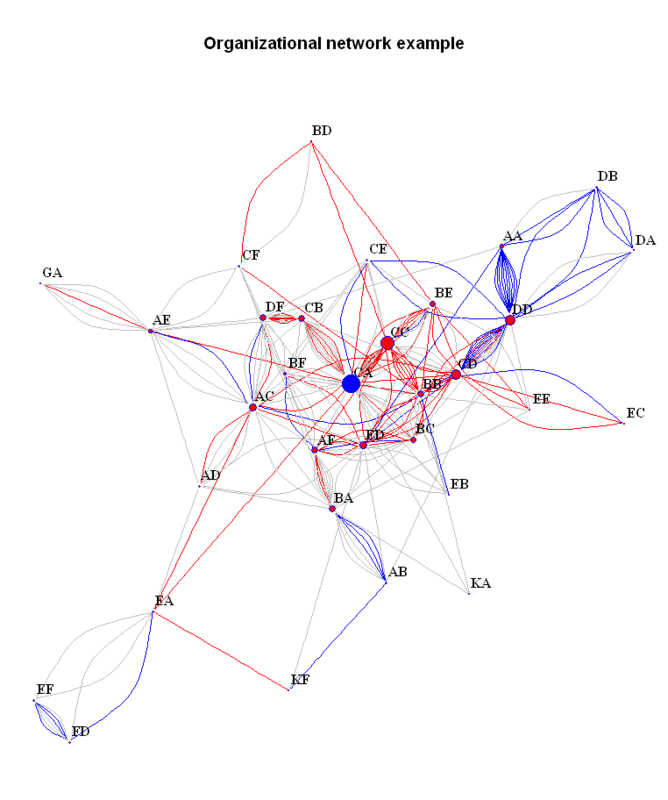 EJPR has just published an article introducing a new tool for ‘discourse network analysis’. Using the tool, you can measure and visualize political discourses and the networks of actors affiliated to each discourse. One can study the actor congruence networks (based on the number of statements actors share), concept congruence networks (based on whether statements are used by an actor in the same way) and trace the evolution of both over time. The discourse networks analysis tool is free and available from the website of Philip Leifeld, one of the co-authors of the article. I can’t wait to get my hands on the program and try it out for myself. The tool promises to be an interesting alternative to evolutionary factor analysis – another new method for studying policy frames and discourses that I recently discussed – with the added benefit of being able to present actors and frames in an integrated analysis. In 2005, the European Parliament rejected the directive ‘on the patentability of computer-implemented inventions’, which had been drafted and supported by the European Commission, the Council and well-organised industrial interests, with an overwhelming majority. In this unusual case, a coalition of opponents of software patents prevailed over a strong industry-led coalition. In this article, an explanation is developed based on political discourse showing that two stable and distinct discourse coalitions can be identified and measured over time. The apparently weak coalition of software patent opponents shows typical properties of a hegemonic discourse coalition. It presents itself as being more coherent, employs a better-integrated set of frames and dominates key economic arguments, while the proponents of software patents are not as well-organised. This configuration of the discourse gave leeway for an alternative course of political action by the European Parliament. The notion of discourse coalitions and related structural features of the discourse are operationalised by drawing on social network analysis. 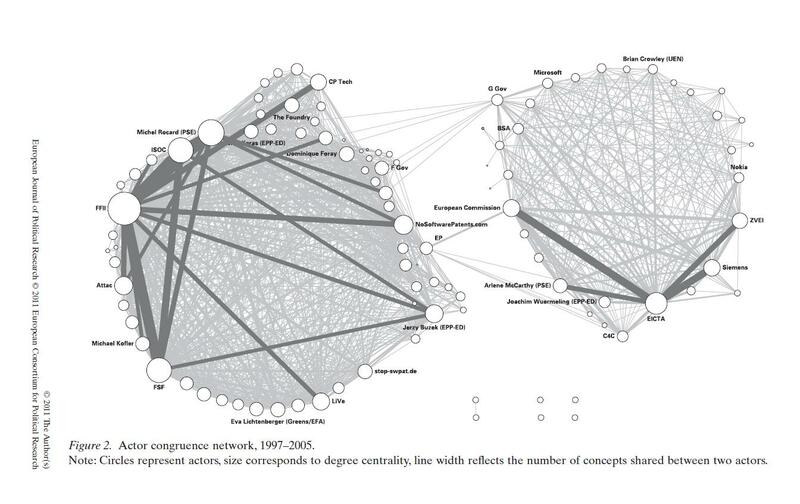 More specifically, discourse network analysis is introduced as a new methodology for the study of policy debates. 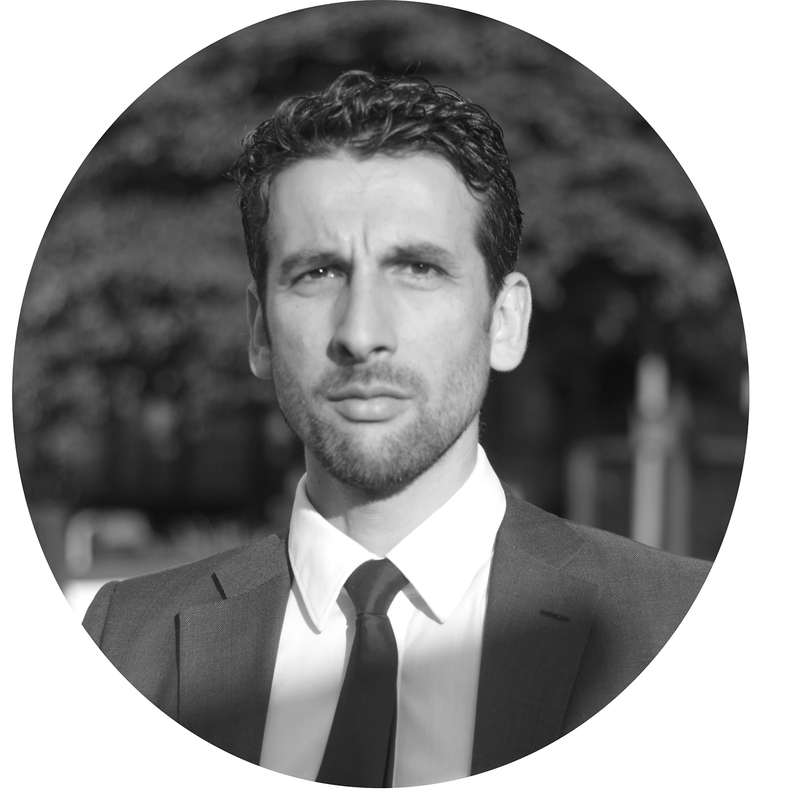 The approach is capable of measuring empirical discourses both statically and in a longitudinal way, and is compatible with the policy network approach. How does the political landscape of Europe change over time? One way to approach this question is to map the socio-economic left-right positions of the governments in power. So let’s plot the changing ideological positions of the governments using data from the Manifesto project! As you will see below, this proved to be a more challenging task than I imagined, but the preliminary results are worth sharing nonetheless. 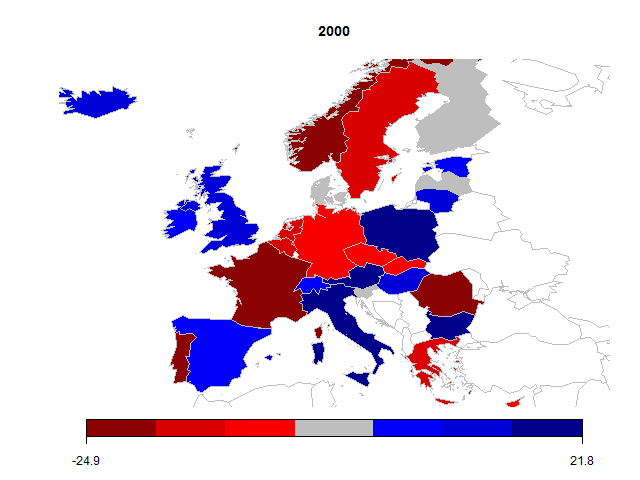 This compiles the (weighted) cabinet positions for the European countries for the year 2000. Next, let’s generate a static map. We can use the new package rworldmap for this purpose. Let’s also build a custom palette that maps colors to left-right values. Since in Europe red traditionally is the color of the political left (the socialists), the palette ranges from dark red to gray to dark blue (for the right-wing governments). After recoding the name of the UK, we are ready to bind our data and plot the map. You can save the map as a png file. You can also play the animation as an AVI video (uploaded on YouTube), but somehow, through the mysteries of video-processing, a crisp slideshow of 8mb ended up as a low-res movie of 600mb. The results resemble my initial idea, although none is perfect. Ideally, I would want a fast movie with controls and a time-slider, but my Flash programming skills (and my computer) need to be upgraded for that. Meanwhile, the Manifesto project could also update their data on which the animation is based. Altogether, the experience of creating the visualization has been much more painful than I anticipated. First, there doesn’t seem to be an easy way to get a map of Europe (or, more precisely, of the European Union territories) for use in R. The available options are either too low resolution, or too outdated (e.g. featuring Czechoslovakia), or require centering a world-map using ylim and xlim which is a problem because these coordinates are connected to the dimensions and the resolution of the output plot. For the US, and for individual European states, there are tons of slick and easy-to-find maps (shapefiles), but for Europe I couldn’t find anything that doesn’t feature huge tracts of land east to the Urals, which are irrelevant and remain empty with political data (which is usually available for the EU+ states only). Any pointers to good, relatively high-res maps (shapefiles) of the EU will be much appreciated. Second, producing an animation out of the individual maps is rather difficult. Currently, Google Charts offer dynamic plots and static maps, I hope in the future they include dynamic maps as well. Especially because the googleVis package makes it possible to build Google charts from within R. I also found a new tool called StatPlanet which seems relevant and rather cool, but still relies on Adobe Flash and has no packaged Europe/EU maps. The big guns in visualization software are most probably up to the task but Tableau is prohibitively expensive and Processing is said to have a steep learning curve. Again, any help in identifying solutions that do not require proprietary software to produce animated maps would be much appreciated. I hope to be able to post an update on the project soon.